It’s no secret that the key to artists promoting and selling their work is to get people to look at it. They need to catch their attention, and Guido Salimbeni has found a completely new way of doing so. The Italian artist has started to embrace 3D printing technology by incorporating it into his artwork. By using traditional oil painting techniques combined with 3D printed elements, he’s able to create a more dynamic canvas. Throughout history, an artist’s main focus has been to attract the viewer’s attention for as long as possible. Normally this would be done with different uses of colour, composition and shapes to design the subject in an alternative view. Painting using different materials on different mediums also influence the final look of the painting, changing how it reacts to the light. A 3D printed section of the painting can alter this entirely. Apart from the 3D printed pieces, Salimbeni’s paintings are very tradition. Beginning with sketching the design and building up the layers. 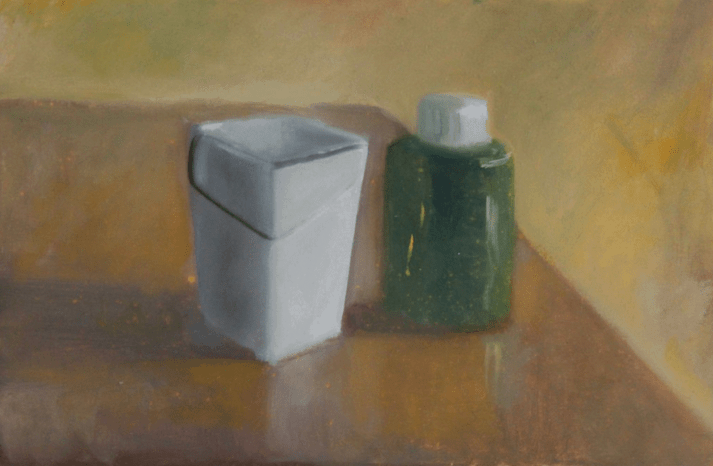 His use of layers allows him to subtly bring the 3D printed piece back into the painting. Whether these paintings are novelties or whether other artists will begin to use his techniques will most like depend on the response these paintings generate from those who view them. If he carries on exploring the 2D and 3D relationship within painting, it has the potential to draw more viewers in and change the way artists work in the future.